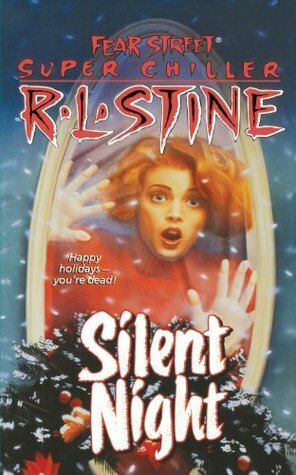 It has been 24 years since R. L. Stine introduced young adult readers to the fictional town of Shadyside and its unlucky teenage populace in the Fear Street series. As a book worm growing up in a western New York state suburb during the early 90s, free time during my years in middle school was often spent at the local library. It was in this quiet haven that I would set up shop at a table in the back, away from people coming and going to the check-out counter, and delve into the latest macabre misadventure to befall an unlucky student at Shadyside High. The series was named for a street in the aforementioned town of Shadyside (presumably somewhere in New England) where a rotating cast of run-of-the-mill teenagers would be thrust into a variety of horror cliches. Chilling prank phone calls. Murdered prom queens. Hauntings. Nightmarish camping trips. No fan of scary or supernatural stories could possibly be disappointed. As the series progressed over the years, readers would learn about the history of the town and its curse due to the actions of its founders during the witch hysteria that gripped puritanical folks back in the day. Save for a three-part miniseries, Fear Street Nights, published in 2005, Mr. Stine concluded his saga with 1999’s Fear Street Seniors spin-off. You can imagine my nostalgic elation when the New York Times reported that he would be reviving the series in October of 2014 with a new entry… Party Games. One of the things I remember the most about the books was how accurately they depicted everyday life for a teenager during that time (save for the gruesome murders and ghostly encounters). The clothes they wore. The hairstyles they donned. The town they lived in and the places they hung out. It was all relatable. With his impeccable attention to that sort of detail, I am excited to see what Mr. Stine does to update the setting and cast of characters for his stories. Gone are the days of baggy sweaters, teased bangs, and those pesky corded telephones used to stalk unfortunate baby-sitters. These days, kids are all about the social media, smartphones, iPads, and skinny jeans. 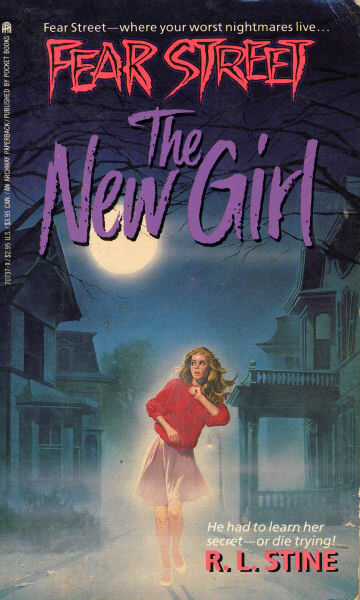 It could also be the perfect time for Mr. Stine to introduce gay/lesbian teenagers into the Fear Street mythos. In comparison to the early 90s, LGBT youth are coming out of the closet at a much earlier age, often in high school. It would stand to reason that a handful of students at Shadyside High would be out and proud and heading up the local GSA… you know, when they aren’t being tacked on to the body count list of the maniac that killed the head cheerleader. As disappointed as I was to have missed an opportunity to meet R. L. Stine at this year’s NYCC (I was in the part of the queue that was cut due to the excessive length of the line), the revival of Fear Street is more than welcome and exciting news. With the first new book being titled Party Games, I am just waiting for the game of “Never Have I Ever” or “Cards Against Humanity” to go horrifically wrong. A Chain Letter from Fear Street. I can’t remember the occasion or if there even was one. Most likely, it was one of those “I saw this and thought of you” type of moments. The gift in question was a box set containing four books that would become my very first exposure to the world of young-adult thrillers. It was given to me by a family friend who knew I had a fondness for ghost stories and reading. Four books. Christopher Pike’s Remember Me, Last Act, Spellbound, and Scavenger Hunt. I list them in that order because I distinctly remember them being arranged as such in the box. They would always be put back in that same order… even when my collection grew to massive proportions on my bookshelf… those four remained lined up just so. 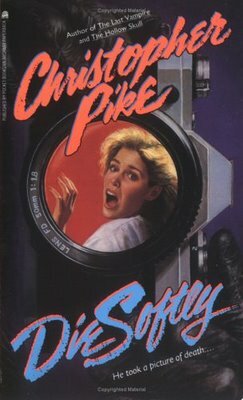 Going to Google Images and searching for images relating to either the Christopher Pike books or Fear Street series brings back a flood of memories. There was no mistaking that neon candy-colored font that was scawled to look like a cross between dripping blood and being written in lipstick or chalk. The teen characters portrayed on the covers all had that typical 90s flare to them. The girls had voluminous hair with teased bangs, baggy sweaters, and tight jeans. Varsity jackets told the reader that the male protagonist was the boy-next-door jock type whereas a motorcycle or distressed denim jacket let us know that he was a bad boy with an attitude to boot. The oft-reserved female lead would always have the best girlfriend who was funky and spunky. If the story had a body count that made it past tertiary characters, the outspoken BFF would turn up dead somewhere in the third quarter of the book. Of course, we always had the weird, quasi-nerdy guy who would play the role of the story’s red herring for a good portion of the novel. My library grew more with each Scholastic book fair that came to my school. Pike and R.L. Stine hogged most of the shelf space but there were also a few titles from Diane Hoh (Funhouse) and Caroline B. Cooney (The Fog, The Snow, and The Fire), to name a handful. My creative imagination was always encouraged when I was a child. That, coupled with the sheer horror of what was written on the pages, was a type of rush that I couldn’t get enough of. I learned the art of speed reading from these books. Weekend evenings would see me up until the pre-dawn hours, eyes burning from ingesting page after page. Study hall in school became the perfect time to check in on the latest stalking or murder in Shadyside (the town in which the Fear Street series takes place). When Pizza Hut began their Book-It program and I found out I was going to receive free pizza for reading (something that I was clearly doing as often as possible), I thought I had died and gone to heaven. If memory serves, I recall having a teacher write “Try reading something different” on at least one book report in 6th grade. You never questioned the logistics of the stories. You never wondered about forensics or the details that they dwell on in shows like C.S.I. or the array of other slow-moving cop dramas. 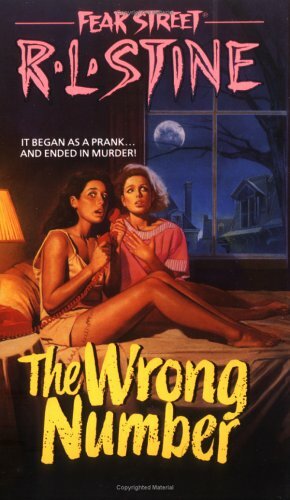 You never questioned why, after all the unfortunate mishaps, people kept throwing parties at that creepy house on Fear Street or why camping trips would take place at that abandoned campground or why a terrorized and stalked baby-sitter would continue to take calls to sit for kids. You suspended disbelief. You enjoyed the ride and rush of adrenaline as the story unfolded. Looking back now, I think the greatest aspect of these books were the worlds that were built within the pages. Shadyside could easily have been any suburban town in America. Growing up in the neighborhood in which I did, it was easy to visualize the places the characters spent their time. Their school was my school. We were the kids that had to solve these mysteries or deal with these supernatural occurrences. We were the geek. The baby-sitter. The jock. The cheerleader. The plain but pretty girl-next-door. The bubbly best friend. The odd new kid in town. The punk with the bad attitude. Being left home alone for a night suddenly became its own addition to the Fear Street series as did receiving a chain letter in the mail or a prank phone call during a slumber party.